pseudobunny & co.: Spread out so you can see the two sock-a-rino's! Spread out so you can see the two sock-a-rino's! Spread out so you can see the two sock-a-rino's!, originally uploaded by pseudobunny. And then VOILA!!!! Yes, TWO SOCKS AT ONCE!!!!!!!! 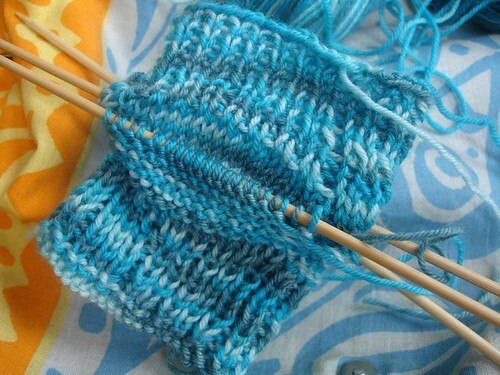 At the very end when you bind off the toes, you have to seperate them. But until then it is all about TWO SOCKS AT ONCE!!! Also, the 'blog this' button on FLICKR is awesome!